You have enough on your plate! Let Mr. Picnic Omaha take care of your seating. DELIVERED* directly to you. Great customer service and I did not lift a finger! 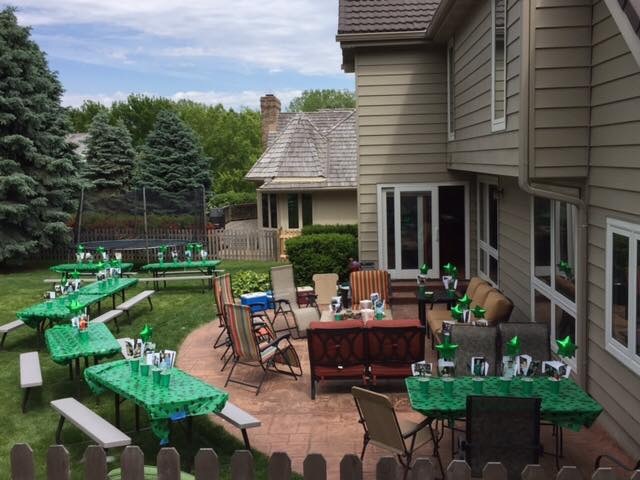 Mr. Picnic Omaha is the premier provider of rental picnic tables, tables and chairs for your cookout, party, graduation or event in Omaha and the surrounding area. What’s even better, we DELIVER! * Whether you have 10 guests or 100+, let us settle your seating problems. Constructed of high-density polyethylene and steel, our rented picnic tables and table & chair solutions are stronger, lighter and more durable than our competitors offerings and can be used both indoors and out. Avoid the hassle of keeping track of, and organizing tables and chairs and let Mr Picnic seat your guests today!